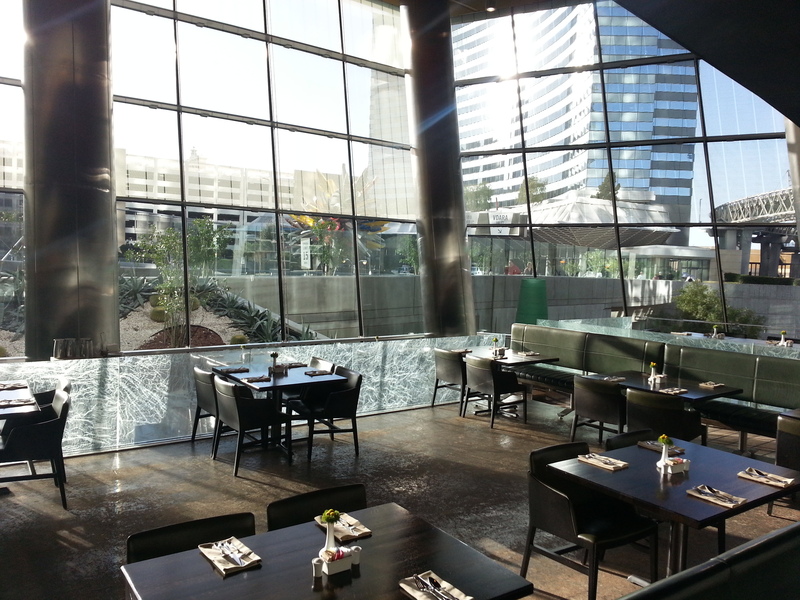 A cozy, swank lounge in the heart of Aria. 5pm – 4am. 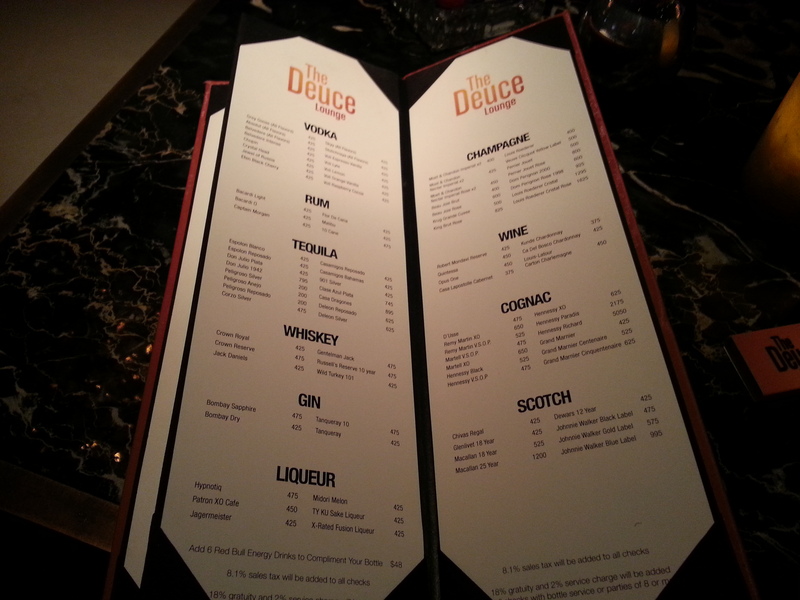 This bar and lounge is well-suited for Vegas business and Vegas pleasure. 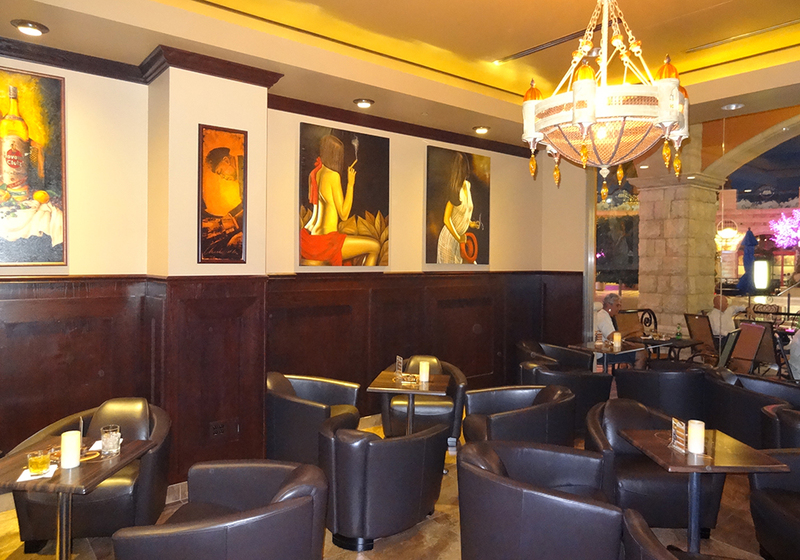 Wooden walls and white marble table tops accent luxurious black leather seating. Not too big, nor too small; an adult Goldilocks would look no further. The Deuce offers high-stakes gaming in one section. 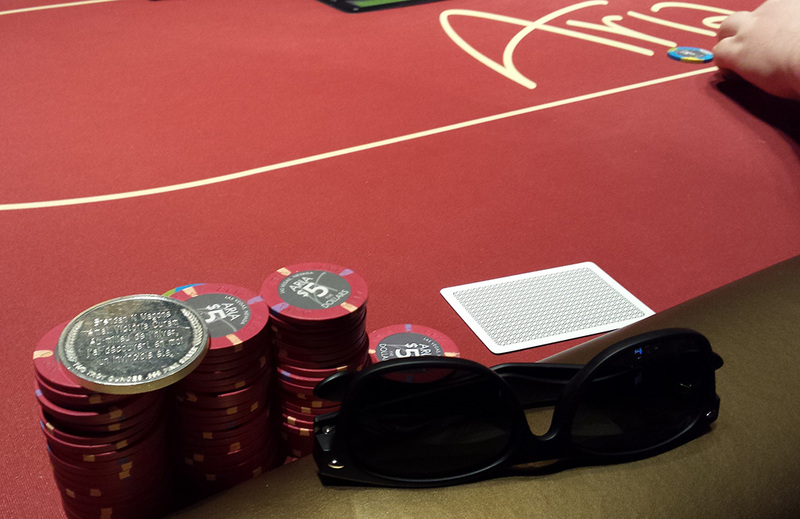 You’re twenty paces from the box office, poker room, sports book, and main gaming tables. Along with the usual handcrafted cocktails, their menu offers “The Antioxidant”: VeeV Acai Spirit, muddled fresh blueberries, fresh lemon juice, Madhava Agave Nectar, fresh mint leaf. 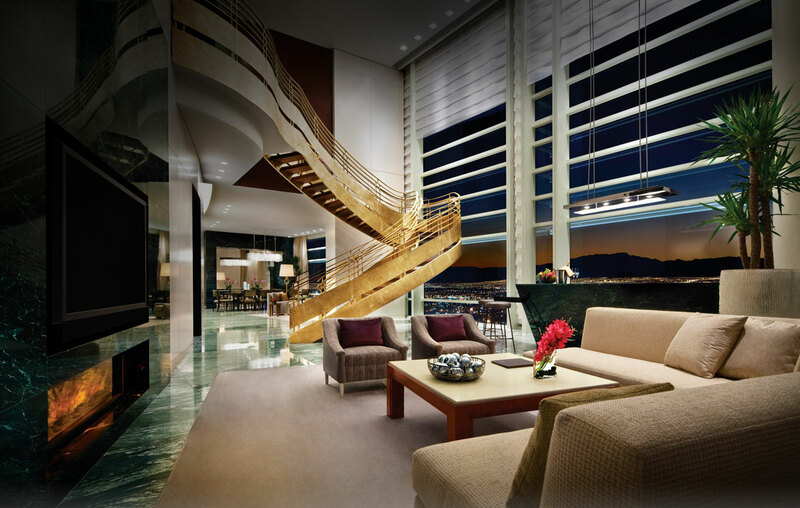 This addition exemplifies what I call “The New Vegas” – decadence and fun splashed with wisdom and moderation. Case in point, the Cosmopolitan’s tagline: Just the right amount of wrong. (Old Vegas might have been: all the wrong you can handle, and then a little more.) 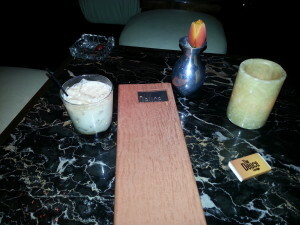 This evening I went for the White Russian, my standby as well as The Dude’s. Next time I’m trying The Antioxidant.